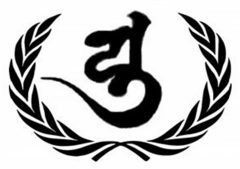 Welcome to the UNITED BUDDHIST NATIONS ORGANIZATION (UBNO). You are invited to sign and endorse the Universal Declaration of the Rights of Buddhist People and Spiritual Communities. UBNO Office of the Ambassador to India: Ashoka Buddha Vihara, Old power House Road, Rajghat New Delhi-110002, India. UBNO Office of the Ambassador to Africa: Buddhist Temple & Meditation centre, P.O.Box 6665, Plot no 606, Mindu Street, West Upanga, Dar es salaam, Tanzania, East Africa.